Welcome to Techno-Billies: At last! Sorry I have no photo's at the moment... but I hope you will understand... after a labour of 47 1/2 hours (most of which was without pain relief!) my grand daughter arrived at 03.28 am 5th May. Both mum and baby exhausted but healthy. My grand daughter is tiny tiny tiny - don't know her weight yet - but of course she is very beautiful!! This is the other Io... obviously not quite as important! Welcome to planet Earth, Io. Oh congratulations!! You must be so relieved and proud-and what a beautiful name. 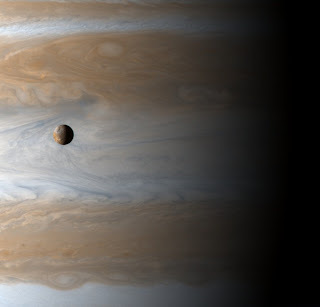 Io is a mighty name for a thing so small!